In Sunday’s New York Post, Ralph describes how the Metropolitan Museum of Art in New York narrowly avoided becoming the center of the antiquities scandal that consumed the Getty Museum. “A few years ago, the world’s richest arts organization became the epicenter of a scandal that, like revelations of steroid use in baseball, exposed a dirty little secret of the American cultural establishment. 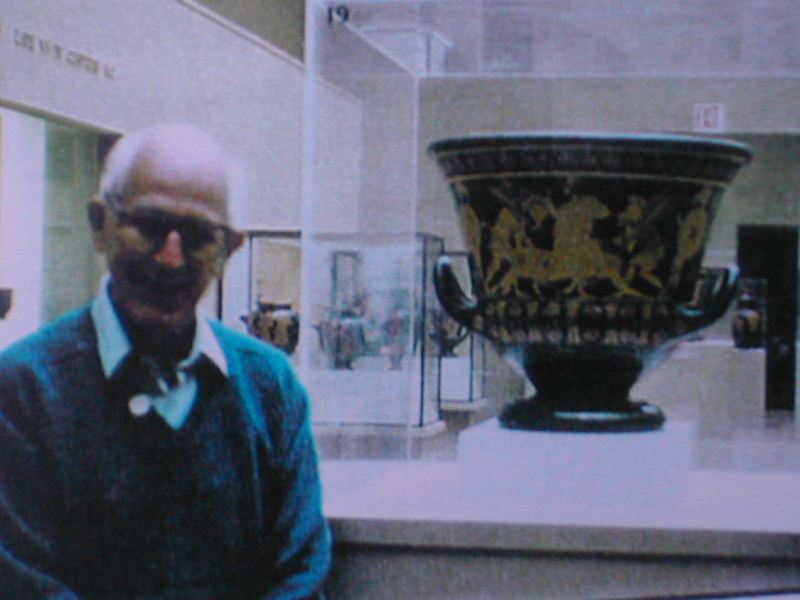 Antiquities dealer Robert Hecht, now on trial in Rome, poses in front of the Met's famous looted vase. It was revealed that the J. Paul Getty Museum of Los Angeles, along with other American museums, had long been involved in the black market for looted Greek and Roman antiquities — a trade the museums themselves fueled with multimillion-dollar acquisitions of illegally excavated masterpieces. To stop the cycle, Italian authorities took aim at the biggest customer, the Getty. A Roman court indicted the Getty’s antiquities curator, Marion True, for trafficking in looted objects. The Getty eventually expelled its most generous living donor, Manhattan socialite Barbara Fleischman, from the board for her involvement in the scandal. And the Getty was made to pay for its crimes by returning 40 of its best antiquities to the governments of Italy and Greece. This entry was posted in Media and tagged antiquities, Getty Museum, Italy, Metropolitan Museum of Art, museum, scandal. Bookmark the permalink.